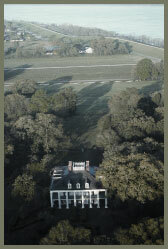 Oak Alley Plantation offers culinary dishes that showcase the local culture as well as the extraordinary talent of Executive Chef Erin Rau and her professional catering staff. The West Pavilion banquet facility is the perfect mix of casual rustic elegance to host any type of event. Class reuinons, corporate incentive events, rehearsal dinners and so much more. Allow our executive chef, Erin Rau, and her experienced catering staff to create a memorable culinary experience for you & your guests. Please see the packages below for additional information on the culinary selections available for your private event. Please note minimums required for packages when selecting. All menus include standard table & linen, taxes and gratuities as well as the facility rental. Specialty linens and services are available at an additional fee. You may also contact the sales department at events@oakalleyplantation.com for additional information and availabilty or to schedule an appointment to take a personal tour of the facility.